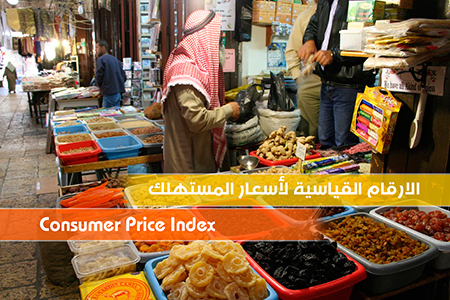 PCBS: The Consumer Price Index During, March, 03/2019. PCBS: H.E. Ms. Awad, highlights the Palestinian children's situation on the eve of the Palestinian Child's Day, 05/04/2019. Based on estimates prepared by PCBS according to the results of the Population, Housing and Establishments Census of 2007, the total population of Palestine by mid-2017 was about 4.95 million; 2.52 million males and 2.43 million females. 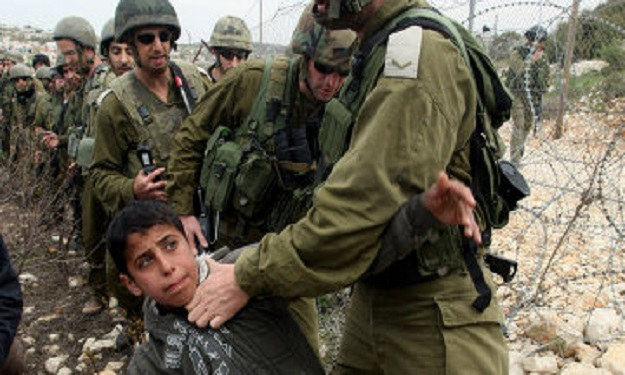 The estimated population of West Bank was 3.01 million of which 1.53 million males and 1.48 million females, while the estimated population of Gaza Strip totaled 1.94 million of which 988 thousand males and 956 thousand females. The percentage of individuals aged (0-14) constituted 38.9% of the total population by mid-2017 of which 36.6% in the West Bank and 42.6% in Gaza Strip. The elderly population aged (65 years and over) constituted 2.9% of the total population of which 3.3% in the West Bank and 2.4% in Gaza Strip by mid-2017. Population density of Palestine is generally high at 823 persons/km2, particularly in Gaza Strip it is 5,324 persons/km2 compared to a lower population density in the West Bank of 532 persons/km2 by mid-2017. According to results of Multiple Indicator Cluster Survey 2014, the total fertility rate in Palestine had declined to 4.1births (2011-2013) compared to 6.0 births in 1997. At the regional level, the fertility rate in Gaza Strip is higher than West Bank during the period (1997-2013), where it reached 3.7 births during the period (2011-2013) in the West Bank compared to 5.6 births in 1997, while it reached 4.5 births in Gaza Strip during the period (2011-2013) compared to 6.9 births in 1997. Population projections revealed that crude birth rate in Palestine is expected to drop from 30.9 births per one thousand of the population in 2016 to 29.0 births in 2020. On the other hand, the crude death rate is expected to decline from 3.5 deaths per 1000 of the population in 2016 to 3.4 deaths per 1000 in 2020 in Palestine. Data revealed a decline in the average of households size in Palestine during the period (1997-2016) from 6.4 persons in 1997 to 5.2 in 2016. This average declined in the West Bank from 6.1 persons in 1997 to 4.8 in 2016, while it declined in Gaza Strip from 6.9 persons to 5.7 for the same period. Data of 2016 showed that 11% of households were headed by females in Palestine as of 12% and 9% in the West Bank and Gaza Strip respectively. The size of female-headed households was relatively small, with an average size of 3.0 persons compared to 5.7 persons for male-headed households. The results of labour force survey revealed that the labour force participation rate in the 1st quarter of 2017 is 45.8% of the total labour force (Persons aged 15 years and above) of which 45.8% in the West Bank and 45.7% in Gaza strip. The females participation rate in labour force is very low compared to males participation rate in the 1st quarter of 2017, which is 19.4% of which 17.6% in the West Bank and 22.3% in Gaza Strip, against 71.6% for males; of which 73.3% in the West Bank and 68.6% in Gaza Strip. The results showed that more than one fourth of participants in the labour force were unemployed in the 1st quarter of 2017 at 27.0% of which 18.8% in the West Bank and 41.1% in Gaza Strip. Unemployment rate reached 46.6% among females compared to 21.9% among males. The 2016 data revealed that the percentage of individuals (aged 15 years and above), who have completed university education (A bachelor degree and above), was 14% while the percentage of individuals who didn't complete any stage of education reached 9%. Illiteracy rate among individuals aged 15 years and over in Palestine was 3.1% in 2016. Illiteracy gap is significantly noticed among males and females at 1.4% and 4.8% respectively. In 2016, the percentage of Palestinian households that a family member owned a housing unit was about 77% of which 79% in the West Bank and 72% in Gaza Strip, while the percentage of households that were living in rented houses in Palestine was 9% of which 10% in the West Bank and 7% in Gaza Strip. Available data for 2016 showed that 88% of households in Palestine lived in houses that are supplied with drinking water from public network of which 83% in the West Bank and 94% in Gaza Strip. Moreover, almost all of households in Palestine lived in houses connected to the electricity network. Data of 2016 showed that about 37% of Palestinian households were living in houses connected to tight\ porous cesspits, of which 56% in the West Bank and 9% in Gaza Strip. While there were 62% of Palestinian households were living in houses connected to public sewerage network of which 43% in the West Bank compared with 91% in Gaza Strip.